What Are Skin Tags and What Can Be Done About Them? What Are They And What Can Be Done About Them? They’re unsightly, and as strange growths go, potentially unsettling. Fortunately, though, skin tags are usually harmless. A skin tag – or acrochordon, if you want to get technical – is a small growth on the skin surface that may occur more often as people age. They tend to be more common in women, and in people who are obese or diabetic, according to the National Institutes of Health. They usually arise on the eyelids and neck, and in areas where the skin rubs against itself, such as armpits, the groin, and in skin folds on the chest. A skin tag may be shaped like a small flap of skin, or more like a tiny mushroom with a wider end and a stalk, or base. Sign of Something More Serious? Back in the 1980s, there was some speculation that skin tags were more common in people who went on to develop colon polyps or colon cancer. Subsequent research published in the Archives of Internal Medicine and the Journal of Clinical Gastroenterology, however, found no association. That means people with skin tags had no greater chance of developing colon polyps or cancer. The authors concluded skin tags should not be used as a reason for more intensive screening. Remove It or Leave It Alone? Many people who develop skin tags simply choose to leave them alone. 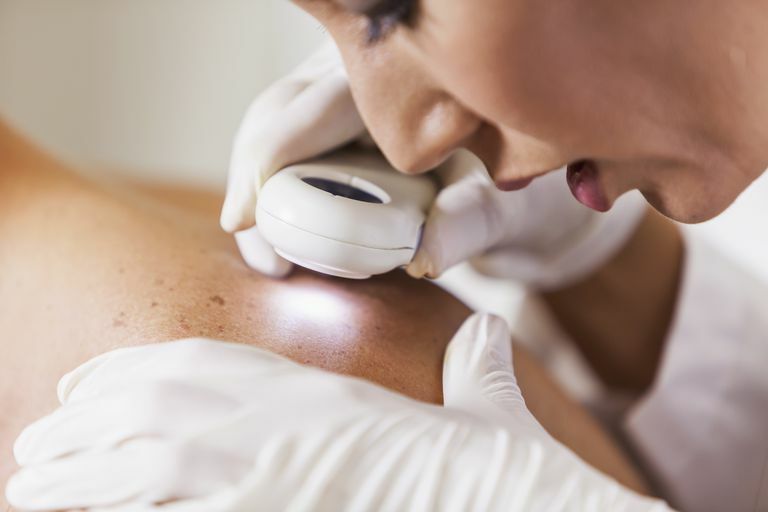 If, however, you find a skin tag unsightly or find that it’s becoming irritated by shaving or rubbing on clothing or jewelry, you can have it removed by a doctor. The two most common methods are cryotherapy, in which the tag is taken off using a freezing solution, or cauterization, in which the tag is burned off. There are also home kits available (similar to wart removal kits), but they may only be appropriate for certain small tags. Consult your healthcare provider for advice, especially if the tag is large (in which case a biopsy may be taken), or it is near your eye. Brendler SJ, Watson RD, Katon RM, Parsons ME, Howatt JL. “Skin Tags Are Not a Risk Factor for Colorectal Polyps.” J Clin Gastroenterol. 1989 Jun;11(3):299-302. Cutaneous Skin Tag. US National Institutes of Health Medline. Public Information Sheet. Varma, J.R. “Skin Tags—A Marker for Colon Polyps?” J Am Board Fam Pract. 1990 Jul-Sep;3(3):175-80. How Can You Get Rid of Those Gnarly Skin Tags? What Disorder Causes a Hardening of the Skin? What Is This White Bump on My Face?